A range of luminaires are available for off-shore and on-shore petrochemical facilities resistant to dust, harsh environments and chemicals. In response to a growing need for energy-efficient, low maintenance, industrial and explosion-proof LED lighting, Glamox has published a new catalogue for the onshore energy and petrochemicals industry. In recent years, LED has become the superior light source technology, which is reflected in the new catalogue. The catalogue showcases a wide range of LED products, which are presented in an informative way. Extensive information is also provided on the different mounting options for the most popular technical lighting ranges. The catalogue also inlcudes useful reference material, including articles on Light Management Systems and Human-Centric Lighting. 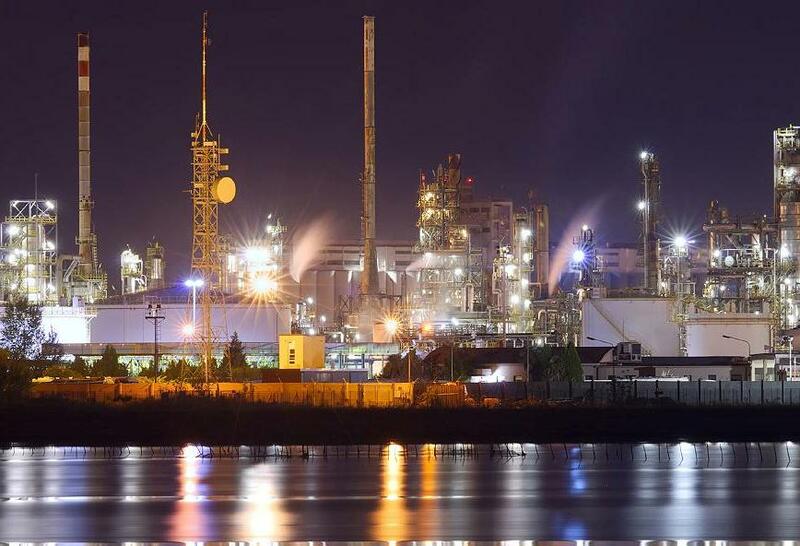 Intelligent, energy-efficient lighting is now required for huge, complex petrochemical plants, refineries and other onshore facilities. When planning lighting for onshore energy installations, Glamox can draw on its vast experience in the global offshore industry. Areas where the explosion risk is high exist in almost every process engineering plant. Strict rules apply to mitigate these risks and electrical luminaires are a vital part of risk management. The use of explosion-proof (Ex) luminaires is mandatory in these areas. Typically, hazardous areas are present in installations such as oil and gas platforms, processing refineries, chemical production facilities, flammable liquid storage facilities, fuel transport, petrol stations, paint production and paper production. Glamox has vast experience from the most extreme Ex-conditions in the North Sea and manufactures luminaires that are suitable for use in Zone 1/21 (gas/dust) and Zone 2/22, and for maximum surface temperature groups T3 (200 deg C) to T5 (100 deg C) up to Gas group IIC and IIIC for dust areas. Chemical engineering facilities are extremely harsh environments where a variety of work tasks are carried out. High temperatures, dusty environments and the presence of damaging gases may pose challenges to the lighting installation. Chemical processes are often fully automated and require constant surveillance. Proper vertical illumination is therefore required for monitoring. Where screens are present, care should be taken to avoid unwanted glare and reflection. Illuminance requirements vary with the presence of people. Remote-controlled facilities require less light than constantly manned workplaces. In areas where substances are mixed, grinded or pulverised, luminaires need to be dust-protected. Open containers need to be well illuminated. Some facilities may involve explosive substances, whereby explosion-protected luminaires are needed. Where dirt is prevalent, enclosed luminaires are needed. Such luminaires offer long-term protection and are resistant to dust, moisture, chemicals, mechanical stresses and extreme ambient temperatures. Linear luminaire systems are suited to ceiling heights up to 6m. Above 6m, high-bay luminaires with narrow or medium beam reflectors are a suitable alternative. Where general lighting is not enough to aid the task at hand, dimmable workplace luminaires provide extra illuminance.